BEST OF BOTH WORLDS - By incorporating the most innovative technologies of both pocket coil spring and memory foam mattresses we are able to provide a mattress that is both incredibly comfortable and perfectly supportive at the same time. Get support without motion transfer with 792 individually wrapped 16 gauge coils. DURABILITY MEETS FUNCTIONALITY - Combining the durability of the highest quality spring mattress with the comfort of a luxury memory foam mattress. Experience the sleep you’ve been dreaming of for years to come. 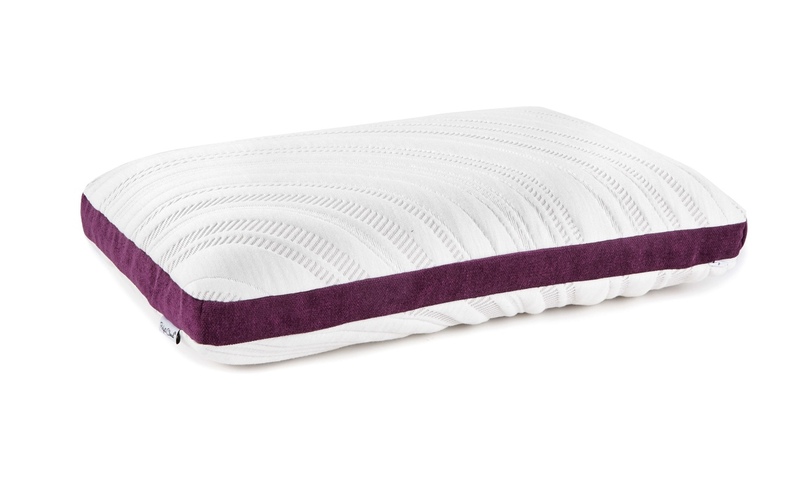 Soft to the touch, you’ll fall gently asleep on 3.5 inches CoolTouch plush memory foam and Ventilated Gel-infused memory foam. You’ll then stay asleep longer on 5.5 inches of individually wrapped coils in a foam encasement. 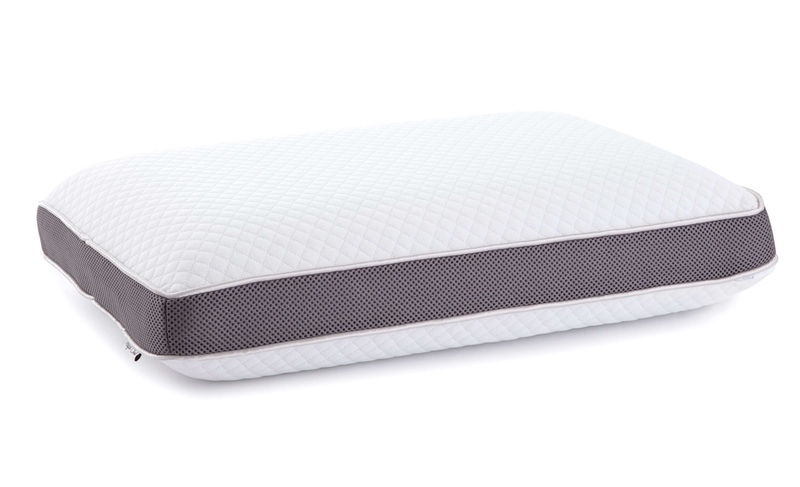 PERFECT SUPPORT FOR A WEIGHTLESS SLEEP EXPERIENCE - Precise layering of various foam densities supported by pocket spring coils provides the support you need while feeling soft to the touch. The Hybrid mattress is the only mattress that offers such support while still maintaining minimal motion transfer so you, and anyone else sleeping with you, feel like you’re the only person in the room. 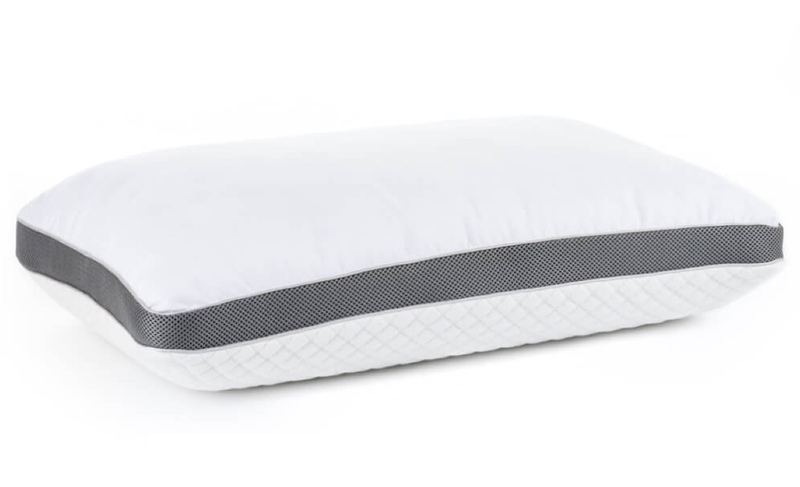 This allows for comfortable, all night sleep that helps you wake up feeling rested and rejuvenated. 10 YEAR WARRANTY - 100% GUARANTEE. Buy with confidence knowing that your new mattress is CertiPUR-US certified, designed in the USA and backed by our 10 year warranty. With Perfect Cloud’s Hybrid Mattress, you can find the relaxing sleep you’ve been searching for. Our thoroughly tested memory foam helps eliminate nervous tension caused from common head, neck, and shoulder pain, which frequently keep you awake and unrested. 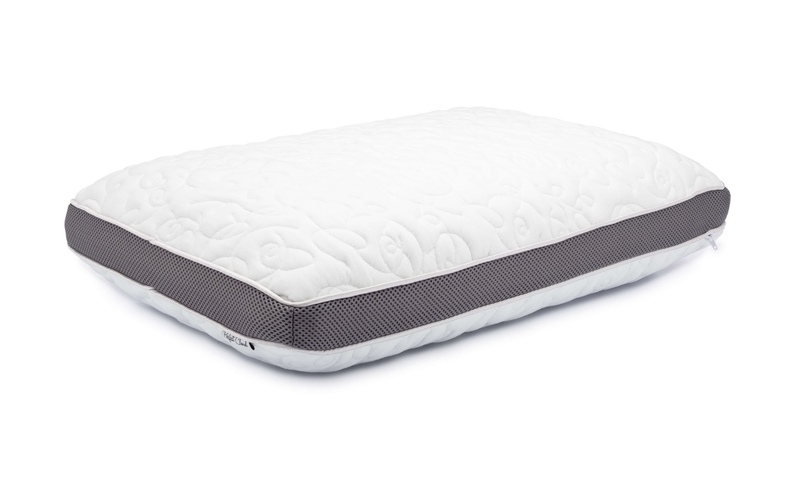 Plus, the Hybrid’s individually wrapped coils will deliver consistent support while the gel-infused memory foam provides a temperature-neutral sleep experience. BEST OF BOTH WORLDS | By incorporating the most innovative technologies of both pocket coil spring and memory foam mattresses we are able to provide a mattress that is both incredibly comfortable and perfectly supportive at the same time. Get support without motion transfer with 16 gauge coils. DURABILITY MEETS FUNCTIONALITY | The Hybrid combines the durability of a premium spring mattress with the comfort of a luxury memory foam mattress. 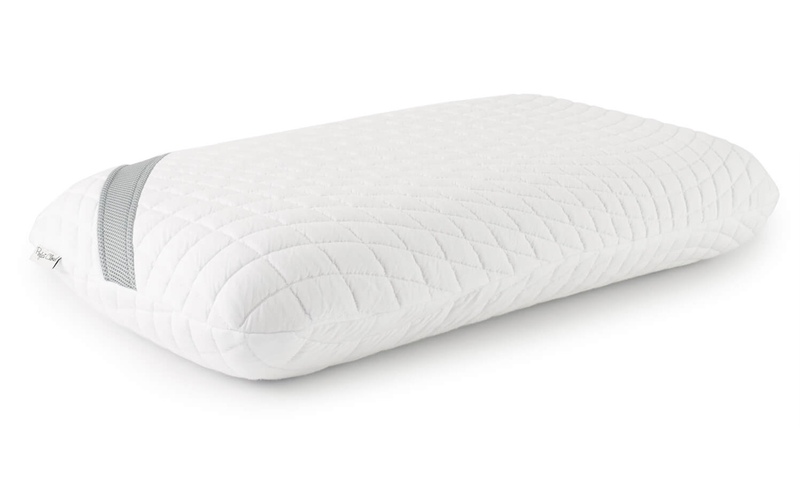 Soft to the touch, you’ll fall gently asleep on 3.5 inches of CoolTouch plush memory foam and Ventilated Gel-infused memory foam. You’ll then stay asleep longer on 5.5 inches of individually wrapped coils in a foam encasement. PREMIUM COVER | Our best-in-class premium textile stretch knit cover offers a luxurious look and feel while the accents at the head and foot of the mattress allow air to flow more freely in and out improving heat dissipation. 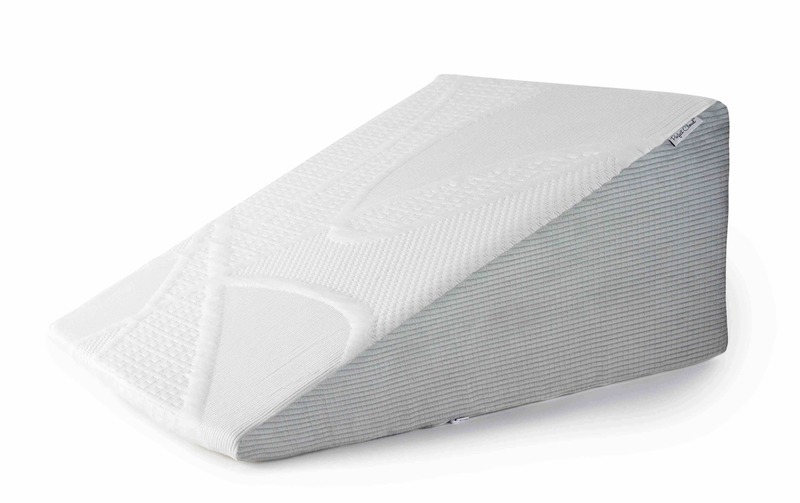 WEIGHTLESS SLEEP EXPERIENCE | Precise layering of various foam densities supported by pocket spring coils provides the support you need while feeling soft to the touch. The Hybrid mattress is the only mattress that offers such support while still maintaining minimal motion transfer so you, and anyone else sleeping with you, feel like you’re the only person in the room. After removing the mattress from the box and packaging it fully formed into shape within 24 hrs. We didn't sleep on it right away (probably not til 48 hrs later). My husband is known to have chronic back issues in which he stated that he did not toss nor turned nearly as much as our previous mattress from a furniture store. Also, that he woke up with his back feeling great. I myself am pregnant and have to sleep on my sides and agree that I did not toss nor turn as much either!! Sleeping on this mattress is definitely like you're on a cloud. It melts and shapes to your body and suits us in every way possible. The brand name of the mattress is just that! Perfect cloud! I've already started recommending it to everyone and will continue to do so! If we are in the market for another mattress we will definitely order another! We decided to replace our Sealy King Size Ultra Plush mattress that we had only had for at the most 3 years. It was sagging, the bed was a mess. We went online and did some research and came across Perfect Cloud. After looking through all of the reviews we decided to go with the Hybrid Memory Foam mattress was the way to go. We have now had the mattress for a week and we are in love!! This is the best choice we ever made. We ended up ordering a platform to put it on instead of using the old box springs we had. That made it even better. We have slept through the night for the first time in years. We both wake up with no pain, no aches. It is simply amazing. Best mattress for the best price. THANK YOU PERFECT CLOUD!!! After several days of research on the web I chose the Perfect Cloud Hybrid,. My wife likes a slightly firm mattress and I like a softer mattress. This mattress is a great compromise. After a week we are BOTH very happy. I actually wake up and get out of bed with no aches and pains.....no kidding! Easy to unwrap and fully inflates in a few hours....no chemical smell....We are both very satisfied. I love this mattress. Is comfortable and it keeps me cool at night.